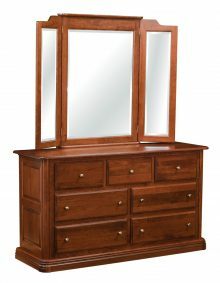 The traditional look of our solid wood Colonial bedroom furniture never goes out of style! 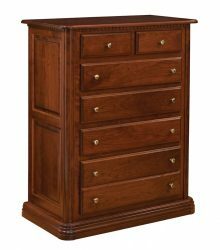 Whether you purchase the handcrafted bed, 6-drawer chest, 7-drawer dresser with mirror, nightstand – or the entire set – you’re sure to get a timeless bedroom furniture classic that will remain in your family for many generations. Our Colonial collection can transform any bedroom décor from ordinary to extraordinary! 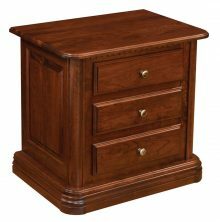 Our Colonial bedroom furniture is not mass-produced in an overseas factory. Each piece is made the old-fashioned way – one at a time and completely by hand. Our location in Smithville, OH gives us access to some of the finest Amish master crafters in the USA. These talented artisans take sturdy northern kiln-dried hardwoods such as oak, cherry, maple and hickory, and combine them with your choice of attractive wood stains to create customized furniture that will last a lifetime. Many online furniture retailers view customer service as an afterthought – if they devote any attention to it at all. At AmishOutletStore.com, we make customer service a high priority. Whether you need help with ordering or customization, or you have questions about shipping, you’ll always be treated with courtesy and respect. We’re a family-owned, locally operated company that you’ll love doing business with. You’ll want to buy all of your furniture from us! 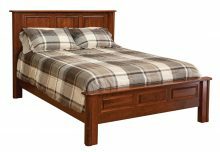 Browse our inventory of solid wood Colonial bedroom furniture and place your order today. Get up to 33% off any piece in our collection!